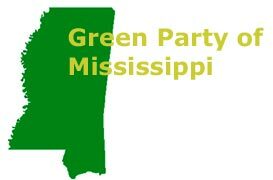 The Green Party of Mississippi supports the investigation of pollutant levels in the waterways in the Bay St. Louis area of Hancock County. An article in the Sun Herald on April 27th reported that the oysters harvested near the mouth of the bay are polluted. The DuPont Delisle plant denies the claim that its effluents are causing environmental problems. Despite complaints from area residents, DuPont still claims that discharges from the plant "pose no apparent public health hazard." Economically speaking, if the US Food and Drug Administration puts a ban on oysters or other fish from the area, the Mississippi Gulf Coast fishing industry will be severely hurt. Mississippi shrimpers and fishers export to other parts of the country and abroad. If a ‘ban’ were enforced, many of the places that receive exported fish would not accept shipments from any Mississippi seller regardless of whether or not the fish were from the Bay St. Louis area. The Green Party of Mississippi supports the efforts of the Sierra Club to continue the investigation of claims in The Journal of Shellfish Research about significant toxin levels being emitted from the DuPont Delisle plant. “I have known personally several friends from the Bay St. Louis area who have gotten sick, and I have heard stories about people getting cancer, from the DuPont plant. We need to support all investigations into these allegations in order to provide for a healthier Mississippi Gulf Coast and to protect our fishing industry,” said Michael Dixon of Ocean Springs, Congressional District 4 member of the State Executive Committee of the Green Party of Mississippi.